Dale passed in peace on Thursday, January 17 at the age of 89. He was born on May 31, 1929 in Pincher Creek, Alberta. Loving husband of Audrey Elizabeth McRae. Loving father of Joan (Rob) Boras, Brian (Mitch) McRae, Stewart (Kelly) McRae, Michael (Daphne) McRae, Philip (Elaine) McRae. Proud Grandfather to Carlie (Travis) Petrisor, Andrea (Blaine) Klassen, Tayte (Stacey) McRae, Hayes (Ruby) McRae, Morgan and Duncan (Elaine) McRae. 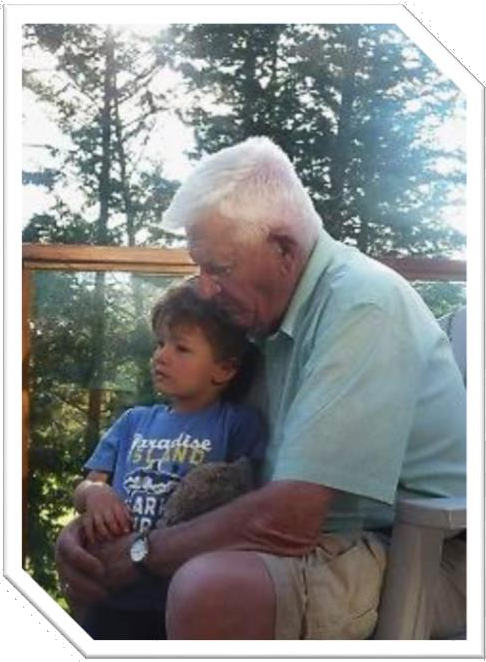 Great Grandfather to Elliot and Addelyn Petrisor, Nash Klassen and Ezra McRae and Sawyer McRae. Proud uncle of numerous nieces and nephews who always kept in contact with him and remember him fondly. Dale was predeceased by two siblings, Gordon and wife Edith McRae and Bruce McRae. He is survived by Dorothy (Ken) Lewis, Alta (Hilton) Pharis, Murray (Agatha) McRae and sister-in-law Thelma McRae. Dale loved to ranch at the foothills of the Rocky Mountains between Pincher Creek and Waterton Lakes National Park. He loved to look at the beautiful Rocky Mountains from the house. When fixing fence by the Buffalo Rock perched on the hill, he would paint a picture in our minds of how the buffalo would come there to scratch their backs. The Ranch kept him young and active well into his eighties. Dale was surrounded by family, love and comfort in his final weeks. He will be fondly remembered by family, relatives and friends for being a loving father, and a man of deep kindness, eternal optimism, boundless humor and great integrity. He was a distinguished member of the ranching community, community volunteer, Olds college graduate, and served on the Pincher Creek school board and municipal council for many years. The McRae Family would like to thank Whispering Winds, Vista Village, the Pincher Creek Hospital, Doctor Bev Burton, home care team and all the respective staff and medical professionals for their care and support given to him.